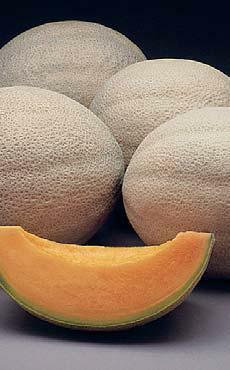 Cantaloupe, as they are known in North America, is named for the town of Cantalupo near Rome where they grew. 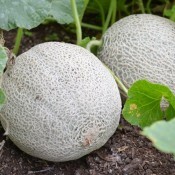 In Europe, these melons are known as muskmelons or nutmeg melons and take their name from the Romans’ habit of sprinkling the fruit with powdered musk to enhance the flavour. They are the most fragrant and delicious of melons.